Now, almost six months into her new job as the Prime Minister’s Chief Science Advisor, she still finds the long hours and varied schedule stimulating. She’s also managed to tick more than a few science experiences off her bucket list. 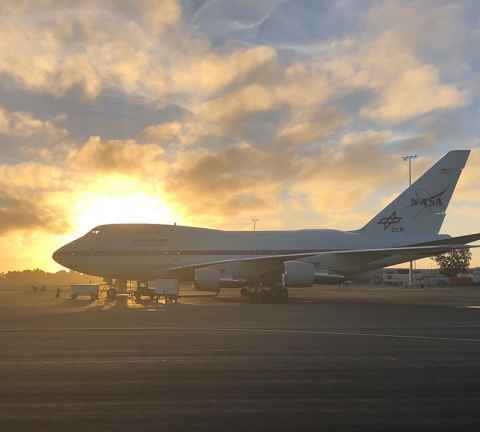 One of the first was going up on NASA’s SOFIA aircraft – a flying observatory. “We flew out of Christchurch in what is just a normal aircraft. The difference is that it goes up to the stratosphere – to just above where commercial aircraft normally fly – where there is no water in the atmosphere. NASA astronomers need to get above the water vapour so they can see clear images of what they are observing through their infrared telescope. Juliet says another key experience has been engaging with Māori researchers, understanding more about the kaupapa Māori research methods and seeing fantastic examples of where kaupapa Māori methods and western science have come together to really strengthen a project. “There is a really nice example in Kaitaia where the Maurice Wilkins Centre [and Peter Shepherd in particular] has teamed up with the Moko Foundation run by Lance O’Sullivan. They are working on a community-based genetic project looking at people’s levels of sugar absorption. 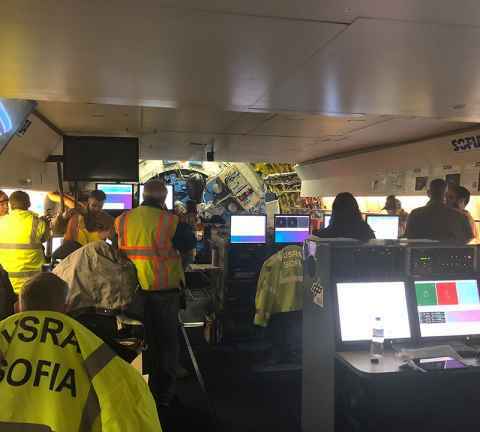 It was a real privilege to see how they brought the whole community together and made sure all the stakeholders – Māori TV and local elders were also there – were on board. Juliet has also been working with the Ministry of Business, Innovation and Employment's (MBIE) diversity team, who released their Diversity in Science Statement in September about how to nurture more women through to senior positions; how to encourage more Māori youth to take the sciences at secondary school and beyond; and how to carve out career pathways for researchers in demographics that are currently under-represented. “I can’t do it personally from this office, but I can lend support to other initiatives that are going on in the diversity and inclusion space,” she says. 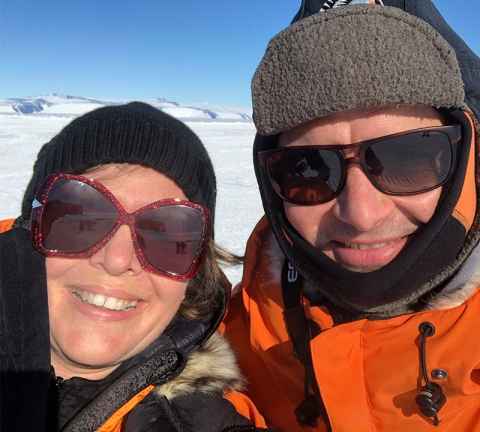 Professor Juliet Gerrard and Hon James Shaw, Minister for Climate Change, in Antarctica. 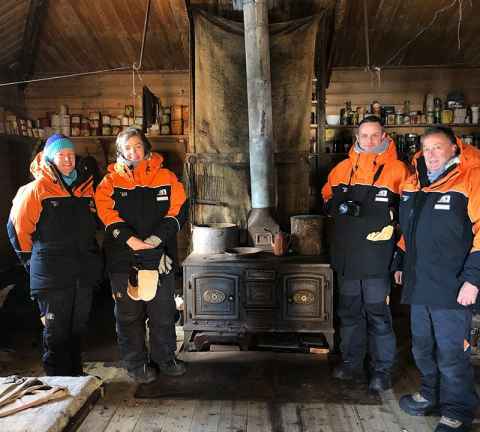 Juliet Gerrard (second from left) in Antarctica inside Shackleton's Hut Antarctica. 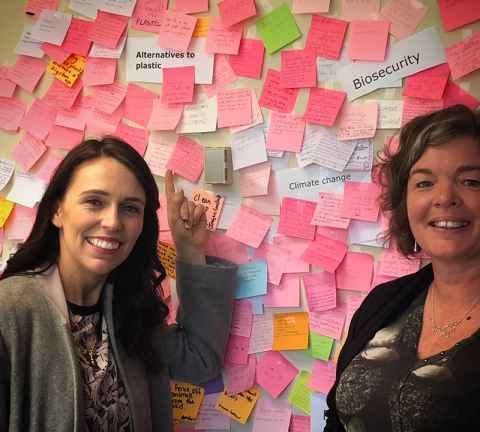 Professor Juliet Gerrard (right) with Prime Minister Jacinda Ardern in front of the wall of 'sticky' issues from New Zealand's research community. Aboad the NASA SOFIA's flight deck with the infrared telescope in the background. Juliet’s most immediate job has been developing a three-year working plan for the Prime Minister. She traversed the country to “scoop up” the issues the research community think is important. Her conversations culminated in a live document which was signed off early November and published online. The current projects have been split into active projects (including plastics and anti-microbial resistance) and hot topics (including 1080 and climate change) and will be updated regularly as priorities evolve. Surprisingly – or maybe not so surprisingly – these science issues and the role of Chief Science Advisor are not unique to New Zealand. There is an international community of practice in 21 APEC countries, most of whom met at a forum in Papua New Guinea in August. Juliet says it was revealing that lots of the issues that New Zealand is grappling with, other countries are grappling with too. It was also interesting for her to see that while New Zealand is seen as conservative on issues like genetic engineering, we are leading in our approach to climate change, because the Government is relatively progressive compared to some other countries. Juliet has not yet conducted many public forums, but considers public engagement and communication an important part of her role. 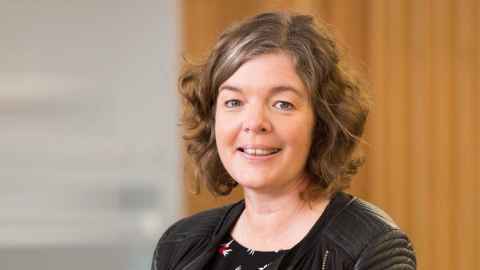 She is keen to make sure that everything the office advises is done in an inclusive, transparent way and that they’ve got the science community behind that advice. “I want to make this Office rigorous, transparent, inclusive and accessible. Those are the four principles published in Nature that make science advice useful,” she explains. 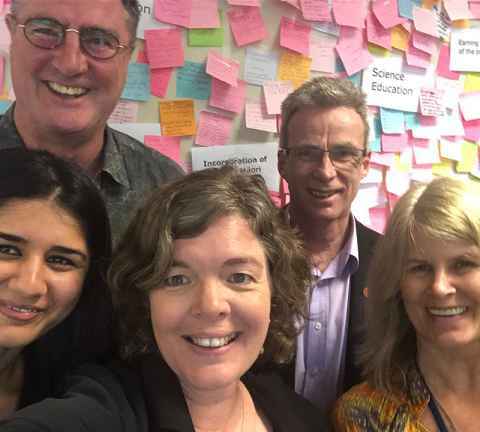 With that in mind, she made a deliberate decision to utilise social media and connect people with the science she is exposed to on a daily basis. Juliet is pleased to see that she is slowly building quite an audience of science enthusiasts. At the time of printing she has more than 6,500 Twitter followers and just over 900 Instagram followers. When six months can take her from the stratosphere to the icy continent of Antarctica, who can disagree? Juliet is employed by the University of Auckland and seconded to the role of Chief Science Advisor part-time for four days a week. The remaining day (20 percent of her time) she retains her position as a University professor supervising her postgraduate students. She is based in Auckland, rather than Wellington, to ensure she meets the obligations of her role as an independent advisor.